Designed by James Brooks in 1887 and built 1889-91. 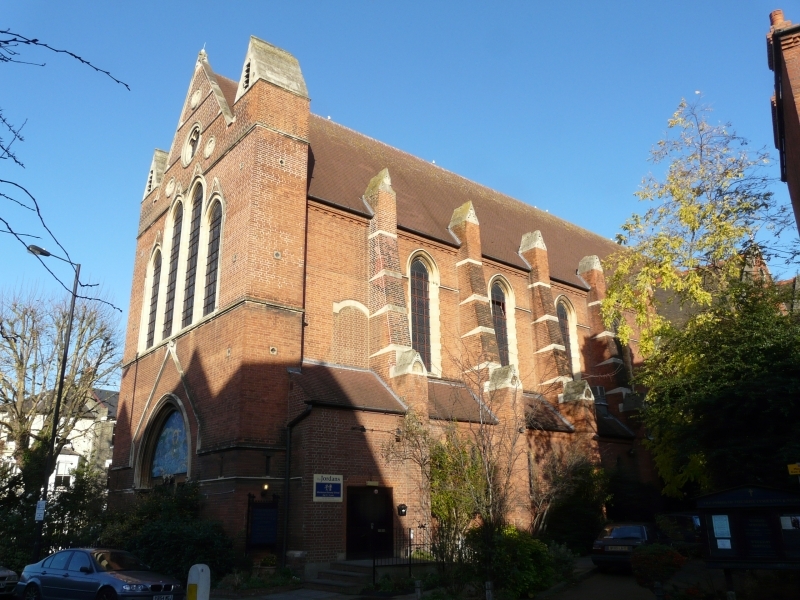 In 1991 the church was divided horizontally and vertically with the western end becoming halls and a nursery, leaving the transepts and chancel as the church space. The Lady Chapel at the eastern end of the south transept was also removed. Older halls to the south-east were replaced by housing. The interior is still typically Brooks and contains a huge baldacchino by Ernest Geldart and glass designed by Henry Holliday. By zoothorn in Brooks, James, Hammersmith, London Borough of Hammersmith on February 6, 2013 .